As artificial intelligence occupies a larger part of the public consciousness, the media is covering the industry more closely than ever. Keeping up to date on the news, industry trends, and sentiments of influential figures can seem overwhelming. One way to stay informed is through Twitter. The social media platform is a helpful and entertaining way to stay looped into the musings of some of the top minds and pioneering thinkers in AI, who use their accounts to voice their opinions on the latest news and industry practices. To get you started, we’ve compiled a rundown of 20 AI, machine learning, and deep learning influencers and experts you should follow on Twitter. This list is a mix of business executives, founders, researchers, and journalists, all of whom bring a unique take on AI to the table. Probably the most prolific and famous executive in the field of AI, billionaire Elon Musk is considered a pioneering figure and thought leader in tech, specifically in AI. The CEO of Tesla uses Twitter to shoot off hot takes about industry news and tweet updates about his companies, which also include SpaceX and Neuralink. His tweets typically ignite a ton of reaction from social media users—and sometimes they land him in hot water. Co-founder and CEO of the emotion recognition software company Affectiva, Rana el Kaliouby is consistently named as one of the most influential women in tech. Her firm, which was started out of MIT’s Media Lab, has developed technology that can read a person’s emotional response by analyzing their facial expressions. It’s a technology that has far-reaching implications. Companies have employed the software to analyze customers’ reactions to their advertising and Affectiva’s technology can also be used to monitor the emotional state of a car driver, gauging when a driver is tired or flustered by a road rage incident. 1/3 Really proud to share #AlphaStar with the world – a milestone for game-playing AI, and the first system to beat a top pro at #StarCraft2. Massive thanks to @Blizzard_Ent, @Liquid_MaNa & @LiquidTLO for being part of this great journey! You likely heard about Demis Hassabis’ company, DeepMind, when it was purchased by Google in 2014 for more than $500 million. Then, you may have heard about the firm again in 2016 when its AI program AlphaGo beat Go world champion Lee Sedol in a highly publicized televised competition. DeepMind is often considered to be one of the world’s leading AI companies, and co-founder and CEO Hassabis has a reputation that is just as illustrious. He has been hailed as “the superhero of artificial intelligence” and “London’s megamind” by various media organizations. If you want to stay abreast of DeepMind developments, it would be wise to follow Hassabis on Twitter, where he primarily posts company-related updates. Roboticist and AI expert Carol Reiley co-founded the California startup Drive.ai, which creates self-driving systems for cars and recently launched an on-demand self-driving car service in Texas. Follow her on Twitter and you’ll be looped into links to the latest AI news and industry commentary, along with a few tweets that provide a glimpse into her personal life. 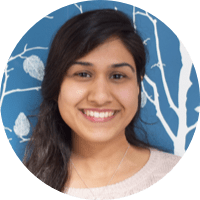 Animashree Anandkumar is the director of machine learning research at Nvidia and her tweets relay informative AI articles along with job opportunities at the California maker of graphics processing units. Anandkumar, whose resume boasts an impressive array of awards and accomplishments, also holds the distinction of being the youngest named professor at Caltech, where she teaches in the Computing + Mathematical Sciences Department. The founder of the Algorithmic Justice League, Joy Buolamwini is a digital activist and is considered to be the foremost expert in algorithmic bias, or what she calls the “coded gaze.” Her recent work exposing racial biases in Amazon’s facial recognition technology was documented in articles by The New York Times and other news outlets. Buolamwini’s MIT thesis, titled “Gender Shades,” also made waves with the revelation that facial analysis technology created by firms like IBM and Microsoft was more likely to misclassify the gender of women and darker-skinned individuals. She’s also been featured among BBC’s 100 Women in 2018 and Forbes’ list of America’s Top 50 Women in Tech. Follow Buolamwini on Twitter to keep up with her research and for analysis on algorithmic bias in AI. Geoffrey Hinton just joined Twitter in January 2019 and has only tweeted a few times. But given his reputation as the “godfather of deep learning,” Hinton is one of those obligatory AI figures you’ll want to keep tabs on. Hinton, who is revered for his work on artificial neural networks, is presently a professor at the University of Toronto and works at Google. We’ll be eagerly watching his Twitter for his insights. Stanford professor and AI guru Fei-Fei Li was the head of Google Cloud, but left the tech company in late 2018 to head up Stanford’s Human-Centered AI Institute, which is predicated on the idea that the development and shaping of AI technology must be humanistic as well as technological. Her timeline is a blend of industry news, personal development, and other related content. The head of the Google AI Center in Ghana, Moustapha Cisse is an AI thought leader and an advocate for greater diversity in the industry. A believer that AI can help improve lives and reduce global inequalities, Cisse is a co-founder of the group Black in AI, which is a community of AI students, researchers, and experts who aim to increase the representation of black people in the industry. He also recently co-founded the African Masters in Machine Learning, a one-year degree at the African Institute for Mathematical Sciences, and was named as one of Quartz’s Africa Innovators 2018. 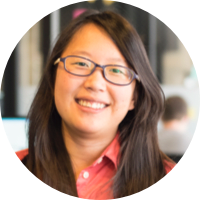 Karen Hao is the AI reporter for the MIT Technology Review and her Twitter timeline includes her latest works as well as links to other relevant AI news articles and industry analysis. An engineer by training, she’s also the author of the Technology Review’s AI newsletter, The Algorithm. Computer scientist Timnit Gebru is an advocate for inclusion in AI and her work has addressed and uncovered racial and gender bias in AI systems. She is also a co-founder of Black in AI, a research scientist on the Ethical AI team at Google, and a co-author of Gender Shades with fellow influencer Joy Buolamwini. Follow her on Twitter for her perceptive commentary on algorithmic biases and other AI-related news. If you’re at all concerned about the implications that AI will have on society, then you may want to follow Kate Crawford on Twitter for her expertise in the area. Crawford is co-founder and co-director at the AI Now Institute—a research institute housed at New York University and dedicated to studying the social impact of AI. She uses Twitter to offer up insightful and sharp-witted commentary on the ethical implications stemming from the application of AI, as well as compelling takes on broader tech news. In April, '17, @jsomers of @NewYorker reached out & said he wanted to do a small profile of me & my longtime colleague Sanjay Ghemawat, watch us work for a few hours, maybe dinner, etc. The head of Google’s AI unit, Jeff Dean is one of the earliest employees of the tech company and one of the founders of the Google Brain team. His Twitter consists of links to interesting research, the latest Google AI developments, and other industry news. Why studying a bit each day is so much more effective than cramming: New synapses form while we're sleeping, but only so many connections can form in a single night. Becoming an expert requires daily practice. 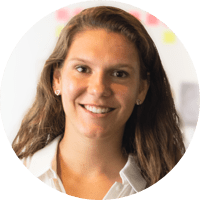 Rachel Thomas is a co-founder of fast.ai, an online community platform that offers free courses for coders, a software library, and a forum where AI enthusiasts can collaborate. In sum, fast.ai aims to get more people to understand and become involved in deep learning. And, in many ways, Thomas’ Twitter is an extension of that brand. Follow her on Twitter and you’ll find links to helpful AI educational resources, fast.ai updates, news articles, along with other smart analysis related to AI. Thomas is also currently a professor at the University of San Francisco. I think one of the huge challenges of 2019 will be coming up with sensible approaches to global AI policy that don't become intermingled with the general anti-tech sentiment taking hold as people realize that platform capitalism just makes for more unpleasant capitalism. As policy director at the nonprofit AI research institute Open AI, Jack Clark uses his Twitter to share the latest research and developments in AI, as well as thought-provoking analysis on the technology’s societal, policy, and geopolitical implications. If you follow him, you can expect shrewd and succinct takes on why certain AI news matters. Prior to Open AI, Clark was a reporter at Bloomberg, where he covered AI; he is also the curator behind the meaty newsletter Import AI. A technology correspondent at The New York Times, Cade Metz covers the AI beat relentlessly and thoroughly. He was previously a journalist at WIRED and his Twitter is filled with his latest scoops. Inspired by these AI and machine learning experts? 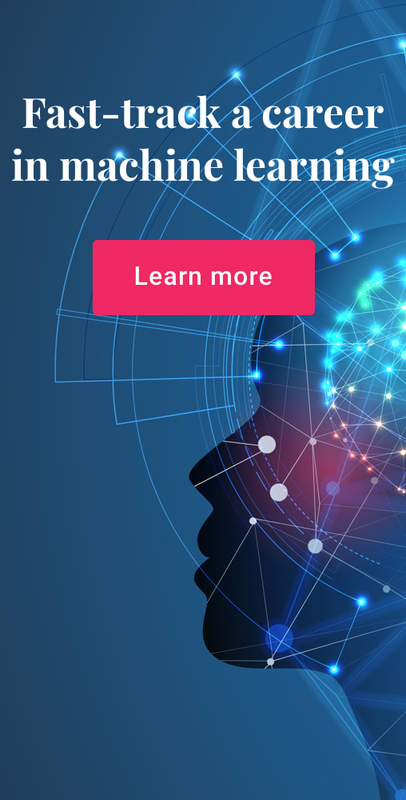 If you’ve thought about transitioning to a role in this cutting-edge field, consider Springboard’s AI/Machine Learning Course. It’s a self-guided, intensive, mentor-led bootcamp with a job guarantee!